A funny thing happened when I had Noah. My abdomen, which was not all that impressive to start, became an uninvited stranger. I hardly recognize what I see in the mirror. I swear there’s not a baby in there despite what people may think. I haven’t been able to start a consistent exercise routine, so my abdomen continues to be a problem. Noah, however, inspired me today. Noah did some moves in physical therapy that I am fairly certain I could not do myself. The crunches he performed on the ball were nothing but impressive. My abdomen ached for him. We have seen such advancements in his core strength while mine remains the same. If you put him at a little bit of a slant, he is able to pull himself up the rest of the way with his core strength. If my little man has been able to develop this type of strength, what the heck have I been doing. 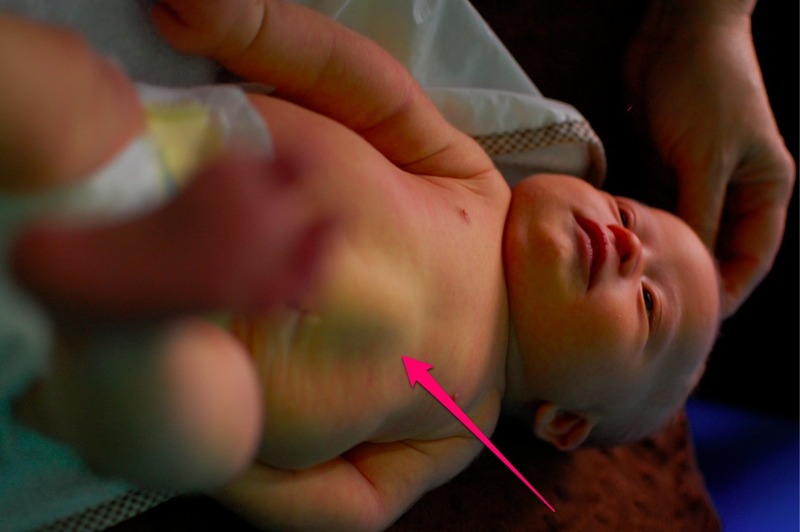 A very common finding in Down syndrome is diastasis recti. It is just another sign of weakness in the core. Noah has a very obvious one at times. 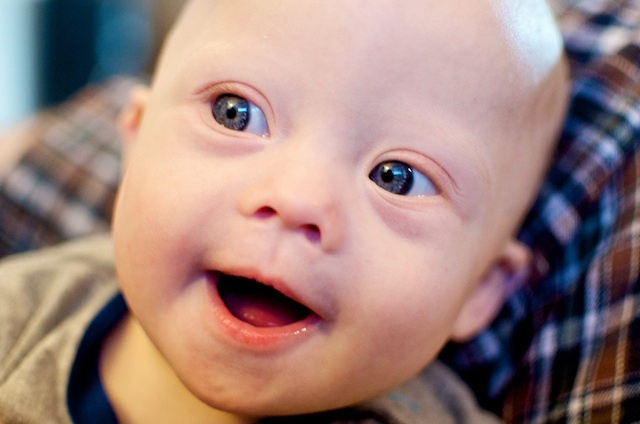 It is one of the physical characteristics of Down syndrome but is seen frequently in premature and typical infants. It is not something to worry about as it will most likely correct on its own as the muscles develop. To make up for the not so flattering picture! So, does anyone have a favorite post-pregnancy workout to help a momma out? Thank for the info on the diastasis rectify. My daughter has the same thing. Nice to be able to look ahead and see the type of therapy they will use to strengthen. Jill. Thanks for you comment. How old is your little girl? Gotta tell I love your blog. Just bumped into it last week and have been back every day since. Noah is just delicious!!! Sorry I don’t talk abs, too embarrassing. LOL my daughters are way stronger than mine!!! And she also has diastasis rectify, she will be three in October. Thanks so much for your comment! We really appreciate it. Looking forward to getting to know you guys more! I would recommend Zumba. Where we live (TN), there are several churches that offer it, and when I was in Dallas last week, I saw where several YMCA locations offered it. It is high impact, but you can modify it to your health/fitness level. I absolutely love it! In the class I take, we have a few post-pregnant mommas and also a couple of pregnant mommas too. One of my friends who has a son with DS teaches Zumba, I may have to stalk one of her classes. Turbo Jam. You can order the dvd and workout to your convenience. It starts out beginner to help you learn the moves which are largely karate based, but completely works the abs. I was a runner and gave it up because my body never looked better. Also there are different length workouts, from 16,20,30 and 45 minute workouts, soyou can always fit one in. Noah is beautiful! God bless you all. I am a paediatric surgery registrar working in London. I am currently writing a book chapter to help paediatric surgeons through their exams. In the book I am covering information regarding diastasis recti. I am looking for a photograph to include and was wondering whether you would consider me using your photo above of Noah? I could either use the photo as it is or anonymise it by covering his face – whatever you would prefer. If you are interested please email me and I can provide you further information.